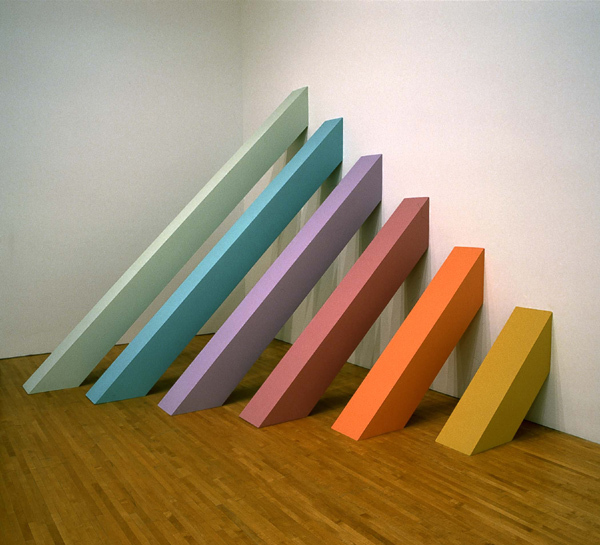 "Rainbow Pickett" (1965/2004) is one of several room-sized or nearly room-sized sculptural installations she created for her first solo gallery show, held at the Rolf Nelson Gallery in Los Angeles in January 1966. 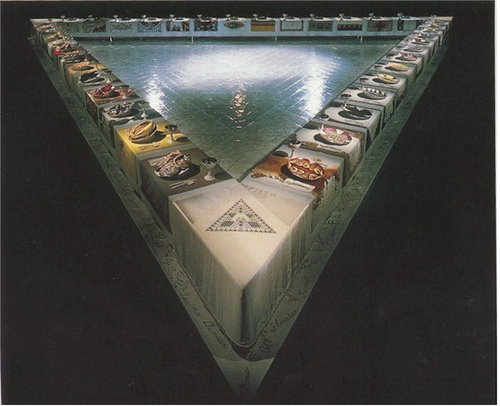 Gail Levin’s biography of the artist ("Becoming Judy Chicago," Harmony Books, 2007) describes the work as “a series of six volumnar trapezoids of different lengths and colors, made from monochrome-painted canvas stretched over plywood frames. The six trapezoids leaned against a wall at forty-five-degree angles in decreasing order of size.” As noted by Levin, the piece was named for 1960s soul singer Wilson Pickett, but the reference has frequently been lost through misspellings of its name. The original Rainbow Pickett was shown in New York in 1966 as part of the foundational Minimalist exhibition, “Primary Structures,” at the Jewish Museum; the influential critic Clement Greenberg described it then as one of the best works in the exhibition. It was later destroyed by the artist along with other large sculptures because of its storage costs. It was reconstructed in 2004 for LAMOCA’s retrospective exhibition, “A Minimal Future? 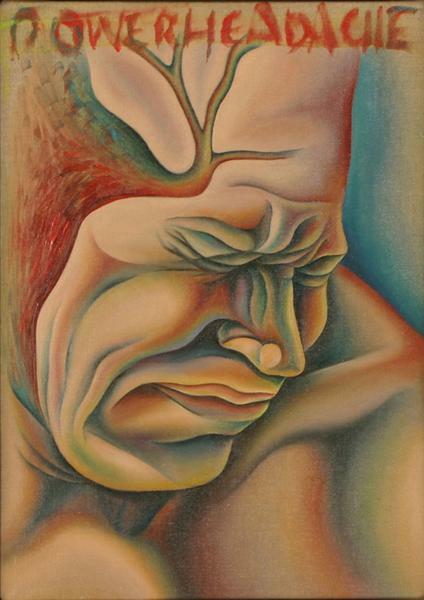 Art as Object, 1958-1968,” and became the hallmark image for this exhibition.